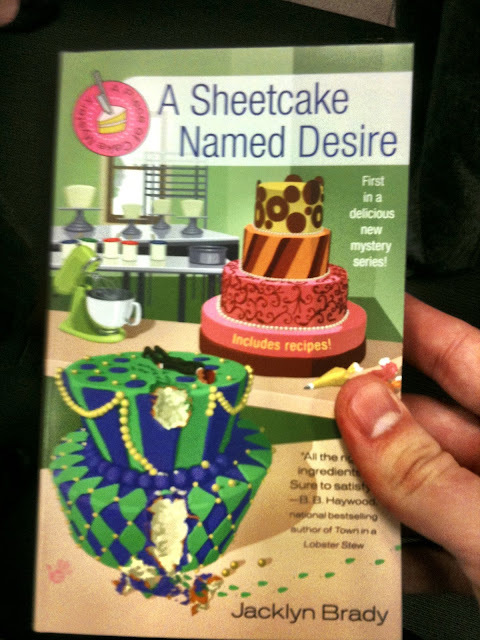 So this is a real book, a mystery, as the cover seems to show, and while I have no idea what it is about, I can only surmise that it is wonderful, witty, and possibly about a stuck-up pastry chef who is forced to move in with her sister and brother-in-law after an ill-conceived series of liaisons with younger sous-chefs, leaving her destitute and friendless, only to be physically and sexually abused by her callous in-law, who at some point I'm guessing runs out into the rainy night and to the face of an apartment complex shouts, "FONDANT! FONDAAAAAAANT!!" Does Liking Fairy Tales Make Us Realists?